Bernard Tomic's explosive Australian Open start has convinced him more than ever that a top 10 ranking this year is achievable. Bernard Tomic’s explosive Australian Open start has convinced him more than ever that a top 10 ranking this year is achievable. Tomic continued his superb Australian summer with the perfect start to his Open campaign, blowing Argentine Leonardo Mayer off court on Tuesday night in little more than an hour and a half. The 20-year-old’s 6-3 6-2 6-3 victory leaves him one of only three surviving locals in the tournament’s second round, and comes just days after he won his maiden tour title in Sydney to lift his world ranking to 43. 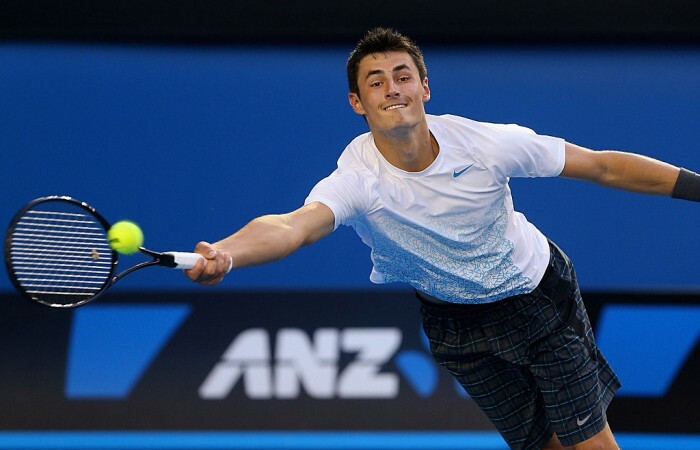 Tomic admits he is enjoying the fruits of his improved commitment to the game. And if he can continue that commitment and his current level of tennis, the Gold Coast player believes he can crack the world’s top 10 by year’s end. “I think it’s very achievable the way I’m going,” he said. “I’m going to have so many opportunities, and hopefully I can win more tournaments this year. 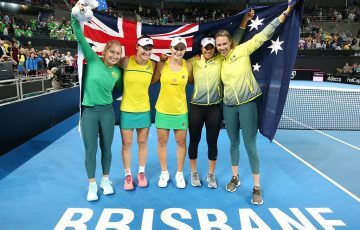 Sam Stosur, the last Australian in the women’s singles after Jarmila Gajdosova bowed out on Tuesday night, is the only local in action on Wednesday. The No.9 seed plays Jie Zheng confident about reversing her loss last week in Sydney to China’s world No.40. Stosur believes she can repeat her efforts in breaking a lean run last year at a Grand Slam when she made the US Open quarterfinals. “Hopefully each match I can get a little bit better,” Stosur said.